Lately I’ve become a big fan of Fast Company magazine. I started reading it about a year ago and was lucky enough to receive a subscription as a birthday present this year. 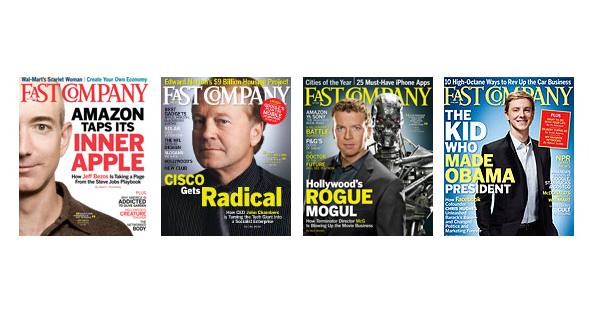 Fast Company is one of those rare tech-savvy publications that isn’t antiquated by the time it makes it to print. Its mix of technology, the business of technology, and how innovation can and does affect our global society is consistently insightful and interesting. I especially love how I can read about things like Mint.com in Fast Company and it’s not old news — quite a feat in this age of instant information. It’s even printed on 100% recycled paper.